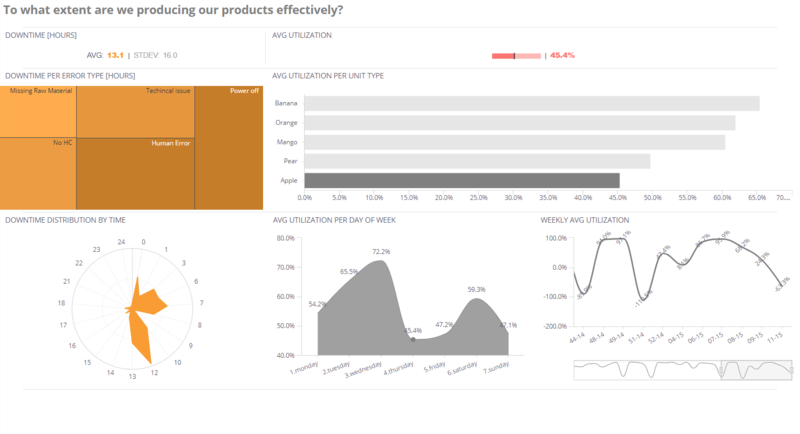 Track the metrics that matter to your manufacturing department. Many manufacturing lines are not 100% productive, meaning there are tremendous opportunities for improvement. 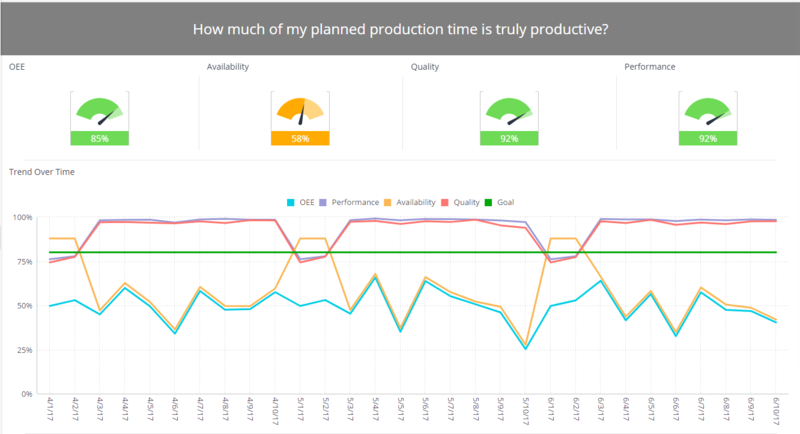 OEE (Overall Equipment Effectiveness) is one of the most important key performance indicators in determining a truly productive manufacturing line. Along with OEE, Availability of the equipment, Performance, and Quality of produced goods encompass all the best practices. When arranging merchandise in a warehouse it is best to do so in a way that can reduce the time it takes to collect and move the merchandise in the future. In addition, it is important to allocate enough inventory on the shelves so that the minimal amount of replenishes is necessary. 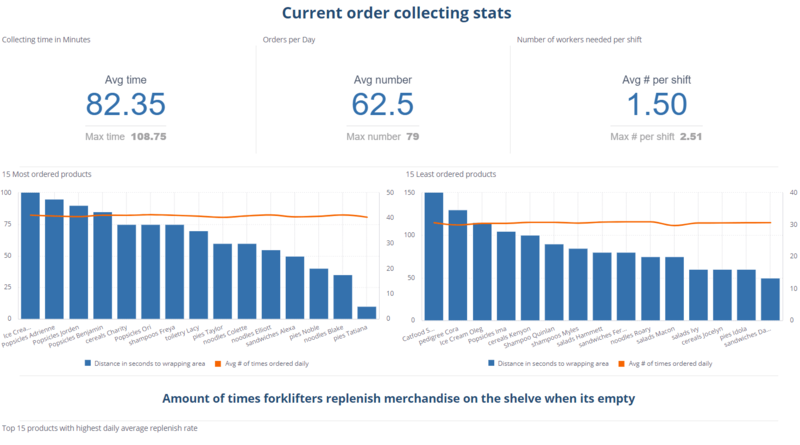 Implementing this manufacturing analytics BI solution can improve worker performance in the warehouse and thus help reduce labor costs and redundant workforce. In general, quality can be defined as ‘the ability of a product or service to fully meet the customer’s expectations, or fit for the customer’s intended use of the product. According to this definition, quality is all about the customer, the expectation from the product or service and how it is delivered. 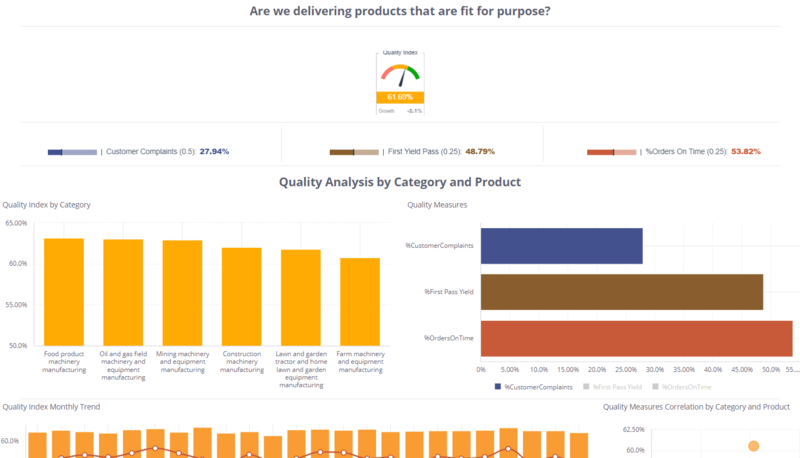 This manufacturing KPI looks at several metrics that will help you answer the question of whether the products you are manufacturing are fit for purpose.